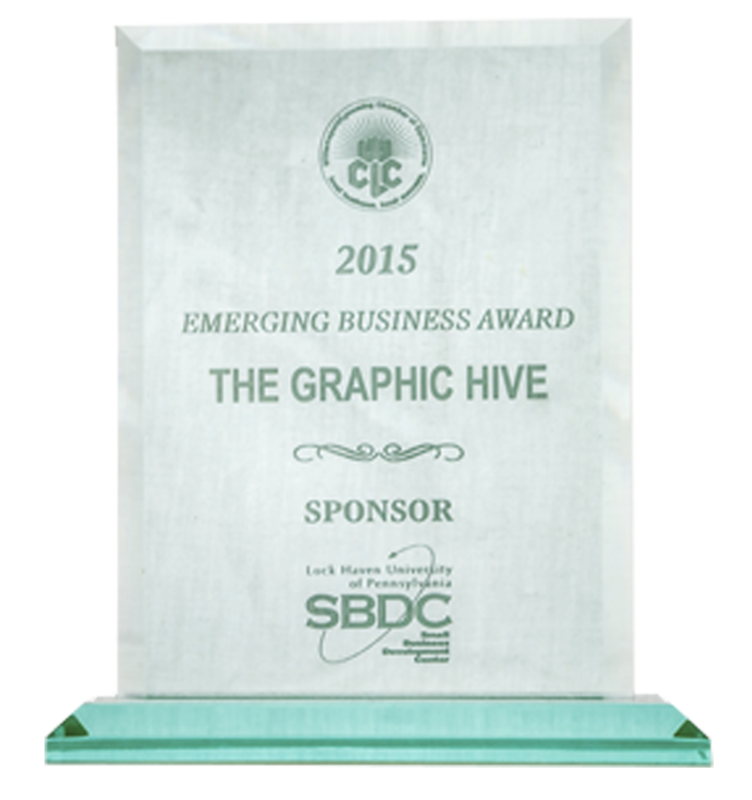 The Graphic Hive is an award winning, design focused marketing company. Founded in 2009, we believe that without well thought-out design, your message gets lost in the mix of this media rich, technology driven world. Our design process takes into consideration numerous factors such as delivery medium, other competing campaigns and outside forces, simplifying the message, and delivering it in the most effective way to appeal to your target audience(s). We like to get to know the client’s core competencies before recommending a product or service as a way to ensure a good fit. We blend our design with the latest in web technologies to get measurable results on-line. More than a billion users are on-line every day, both searching for and promoting information and services, socializing, selling and sharing. Websites that stand out have massive visual appeal, useful SEO-rich content, user-friendly tools and clear navigation. And there’s no sense in investing in those things if you can’t measure the results. Using our three step process we are able to build stand-out websites. 1. We utilize SEO best practices and usability optimization to generate more traffic to your website. 2. Through our design process and reorganization, we make your website visually appealing. 3. Upon completion of the project we implement tracking utilities that help to evaluate the return on your investment. At the start of 2016, The Graphic Hiveacquired Kolb Net Works (one of the first web design firms in the area). Presently The Graphic Hive is responsible for maintaining over 110 websites, most of which are on WordPress, our preferred development platform. We are a client oriented company and we are not afraid to go the extra mile to ensure 100% satisfaction. On February, 16, 2016, the Williamsport/Lycoming County Chamber of Commerce recognized The Graphic Hive with the Emerging Business of the Year award for 2015. This year, John Yogodzinski was presented with the Alumni of the Year Award at the 16th annual Chamber Education Celebration in March. More recently The Graphic Hive was asked to present a series of educational seminars at the Central PA Chamber and Bucknell SBDC on social media and online advertising. For 2017 we hosted a seminar on building effective e-Commerce websites in January at La Primavera in Lewisburg and in May at Cloud 9 in Montoursville. In August we hosted another e-Commerce workshop at the Covation Center in Williamsport. For the rest of 2017 we have a general web design workshop scheduled in October at the Sunbury Career Link, a follow up e-Commerce course at the Covation Center in November, and a Cloud Computing workshop at the Central PA Chamber in December. A small business digital marketing course is in the works for February 2018 at the Bucknell SBDC. The Graphic Hive believes that innovative design comes with exceptional skill, hard work and a commitment to the highest standards. We continuously surprise, turn heads and get people talking. The Graphic Hive – We design for your growth. With this tagline in mind, we would like to grow with our clients through every project, and be able to expand upon the features and functionality for years to come. We like building lasting relationships with our clients and continue to innovate as technology evolves and new developments happen online. From a messy corner in our house we tested the waters doing graphic design, web design and some freelance consulting. We did pretty well, and in 2010 we moved into a studio at Williamsport’s Pajama Factory where we mingled with a community of artists and entrepreneurs. As time went on, we met and exhibited the work of artists from the local scene and from out of the area. So when a potential gallery space opened up in downtown Williamsport, we debated. Is the city ready for a contemporary art gallery that pushes the limits? We took the plunge. We’re thriving because of our unrelenting dedication to graphic design and our unquenchable admiration for art.